The MAX XL is a hefty phone with its 6-inch 1080p LCD, but it's packing a big battery, too. Here are all the specs. So, this is clearly a budget phone, but the Snapdragon 435 is a brand new chip. It seems like a serviceable phone with 2GB of RAM and a 1080p display, too. The real selling point here is Android 7.1.1 out of the box. Even flagship phones are still shipping with Android 7.0. The MAX XL is available on Boost Mobile today, and it has support for Sprint’s HPUE LTE technology (Boost is a Sprint-owned prepaid brand). That means faster data and better coverage. A version of the MAX XL will come to Sprint itself, as well as Virgin Mobile soon. 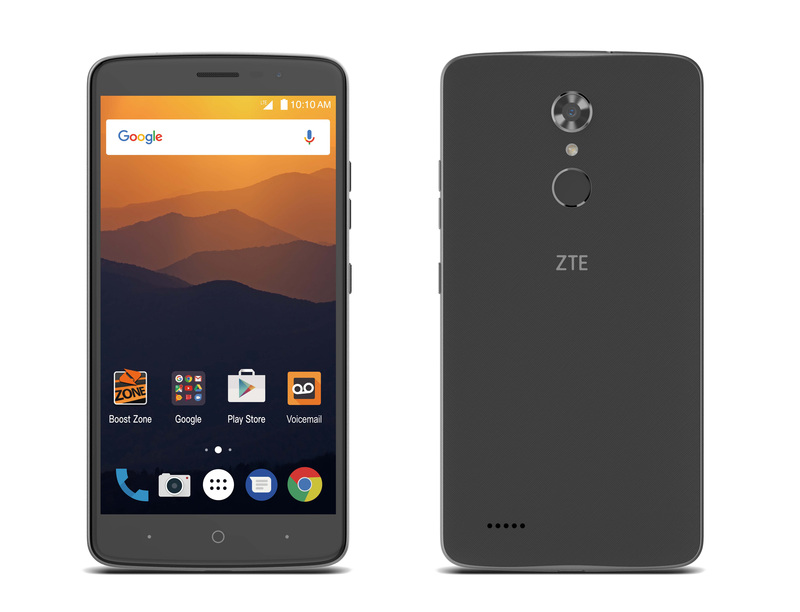 RICHARDSON, Texas--(BUSINESS WIRE)--ZTE USA, the fourth largest smartphone supplier in the U.S. and second largest in the no-contract market*, announced that the 6-inch ZTE MAX XL smartphone is available online today at Boost Mobile for $129.99 MSRP. With the biggest screen, biggest battery, and, with High Performance User Equipment (HPUE) technology incorporated, the best connection possible, the MAX XL provides unparalleled value for the money. The ZTE MAX XL is the first phone specifically for Boost Mobile to boast Sprint’s HPUE technology and with the inclusion of LTE+ support, means increased coverage, more capacity and faster network speeds for you. The MAX XL is also international roaming capable so you can stay connected almost anywhere you are. With its 6-inch IPS FHD screen with Gorilla Glass 3, the ZTE MAX XL becomes the biggest smartphone display to ever be sold through Boost. And, with a 3,990mAh battery, it can take all the streaming, calling, texting and game play you can throw at it without worrying about running out of battery. A fast, accurate fingerprint sensor allows you to quickly access your phone or favorite app in an instant, without having to wake up the device first. A 1.4GHz Qualcomm® Snapdragon™ octa-core mobile platform with 2GB RAM and 16GB ROM, expandable up to 128GB via a microSD card, coupled with Android Nougat seamlessly blends power with performance. For a full list of phone specifications and features, or to purchase the ZTE MAX XL please visit Boost Mobile. Unlimited talk, text and data with mobile optimized streaming videos, gaming and music. $50 a month for one line. $30 a month for a second line, up to five total lines. ** Video streams at up to 480p+ resolution, music at up to 500kbps, streaming cloud gaming at up to 2Mbps. Data deprioritization applies during congestion. *** Boost has no annual service contracts; service is subject to terms and conditions. Plans include unlimited domestic talk, text, data (applicable high-speed monthly data allotment), 50 domestic voice roaming minutes (select devices) and 411 Directory Assistance calls (interactive voice services only). Int’l services extra.